National Disaster Response Force (NDRF) team is also present at the spot. 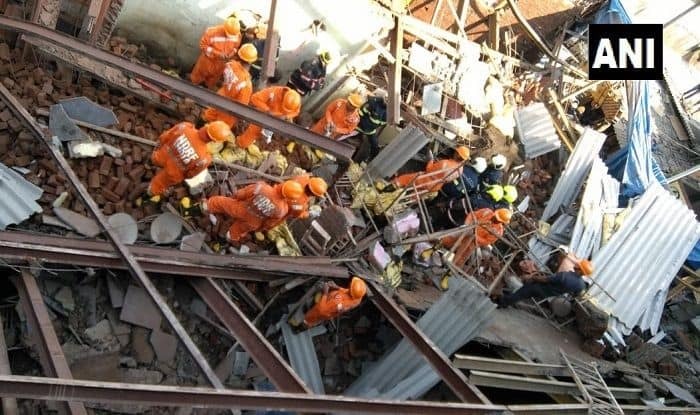 New Delhi: At least three people died and eight injured after an under construction building collapsed near Azad Maidan in Goregaon, news agency ANI reported on Sunday. Rescue operations are currently underway. National Disaster Response Force (NDRF) team is also present at the spot. All the injured people have been taken to a nearby hospital where they are undergoing treatment. The cause of the building collapse has not been ascertained yet and more details are awaited in the incident. In July, seven persons were killed and 25 others were feared trapped under the debris when a building collapsed in the powerloom town of Bhiwandi amid heavy rains. The three-storey structure located at Gaibi Nagar under Shanti Nagar police station limits in the town crashed at around 9.30 AM, Bhiwandi tehsildar Vaishali Lambate had said. About 7-8 families were residing in the building. In October, one person died and five were injured after an under construction building collapsed in Johnu area of Udhampur. The Udhampur building collapse has come a few days after at least one person was killed and 14 others were injured after an under-construction building in Uttar Pradesh’s Shahjahanpur collapsed.